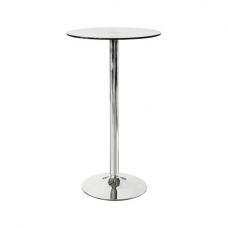 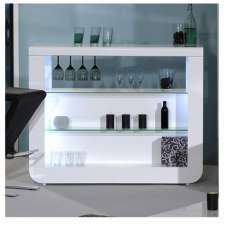 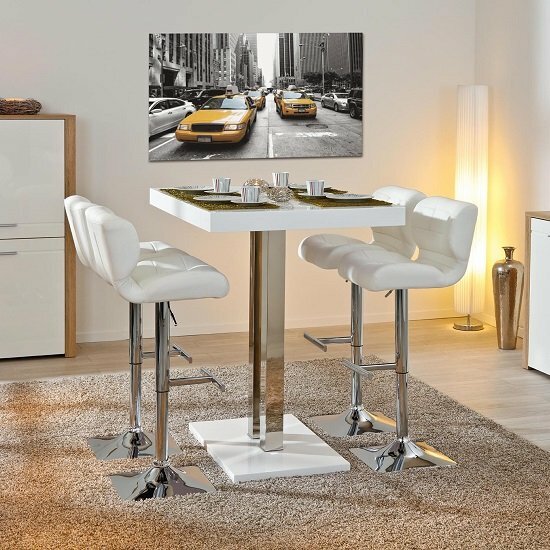 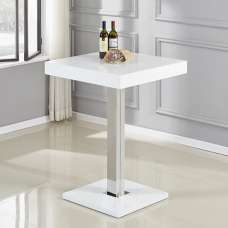 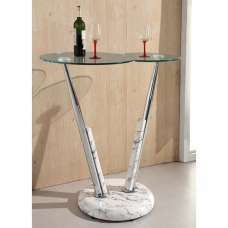 Palzo Modern Bar Table In White High Gloss With Chrome Poles, ideal for modern bar or kitchen area. 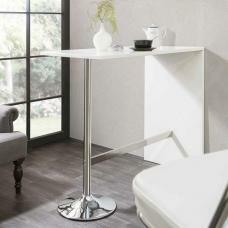 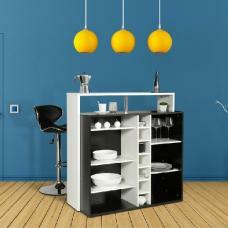 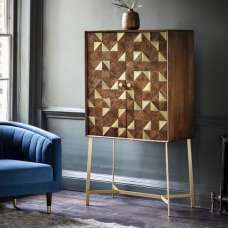 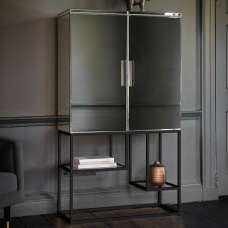 This gorgeous finish bar table crafted from MDF wood with high gloss finish. 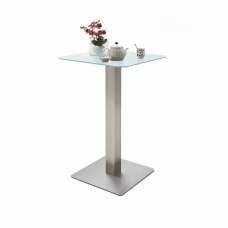 it features 2 chrome supports with flat rectangular base makes it strong, robust and gives stability and sturdiness to it. 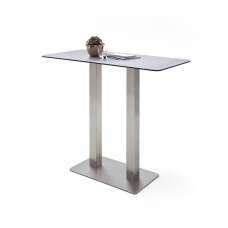 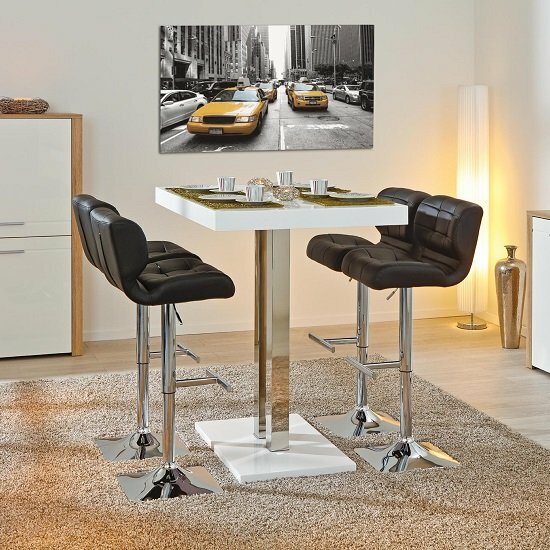 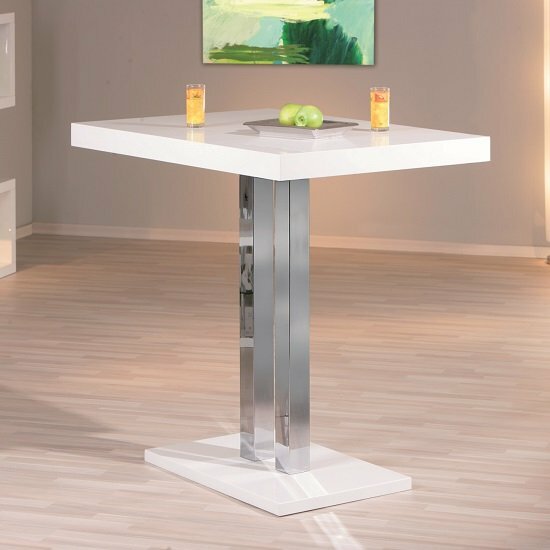 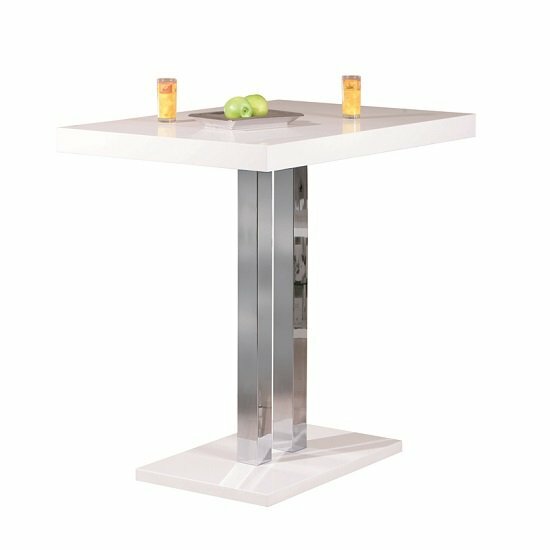 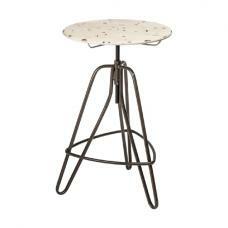 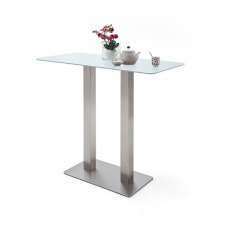 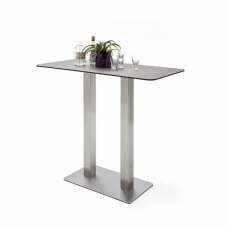 This Bar table looks beautiful in your home or restaurant and goes well with any bar table. Robust and strong Flat high gloss base.